As you may have noticed from previous posts on my blog I have a bit of a thing for subscription boxes, So when I was given the opportunity to try out a Sassy bloom box I was really excited! I had seem them mentioned a few times on the internet and had thought they looked fab! 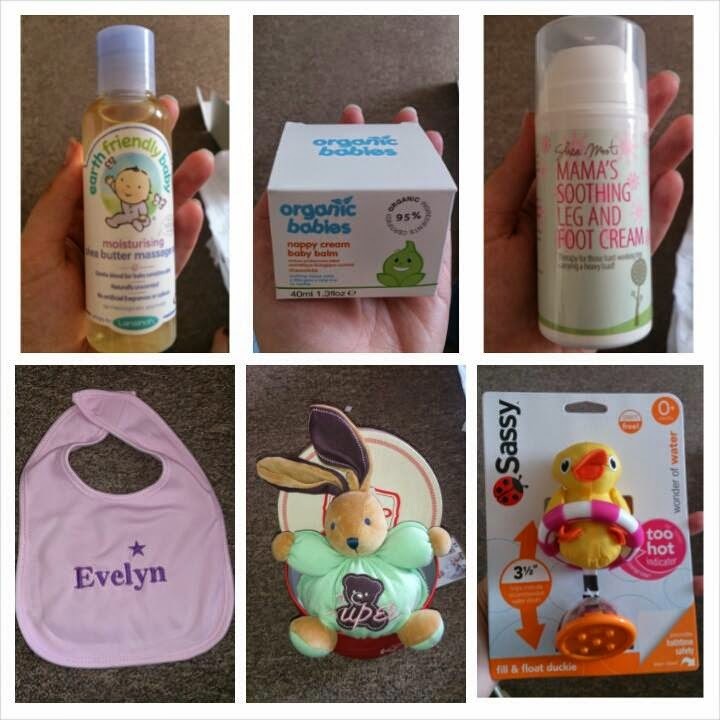 Sassy Bloom is a monthly subscription box which is available from pregnancy right up until your baby is 2! What I really liked about the Sassy Bloom boxes are that each box is tailored to your child's specific stage, age and gender, or your specific stage in pregnancy. This was the contents of our box..
Shea mooti Mamas soothing leg and foot cream. I really liked the personal touch of the bib with her name on it! I hadn't heard of a lot of the brands in the box and this is the reason why I really like subscription boxes because they introduce you to new brands and products you may otherwise not have heard or known about! I thought the box came with a good range of high quality products and felt that a lot of thought had gone into tailoring the box to the correct stage for Peanut and even had a little something in their for me. The contents of the Sassy Bloom box always out weighs the cost of the box with each box having a minimum RRP of £40.00. 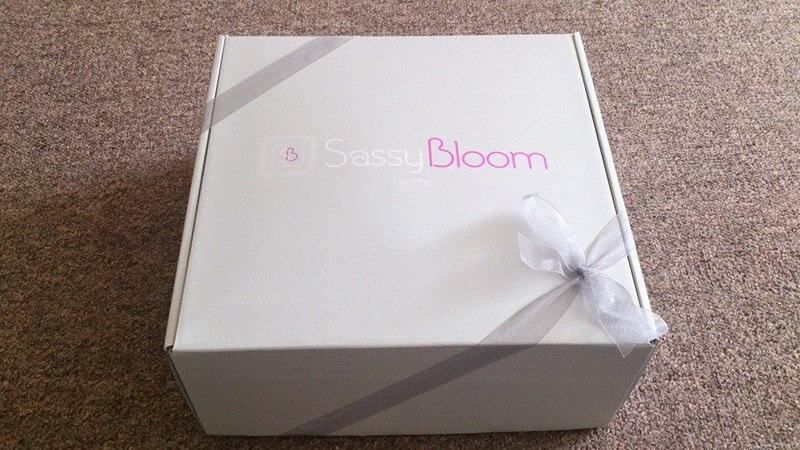 Fancy trying out a Sassy Bloom box for yourself or perhaps you have a friend who is pregnant or has just had a baby and want to buy them one of these boxes as a gift? Simple follow this link https://www.sassybloom.com/?referral_id=OwlCrazy and use the referral code "OwlCrazy". Have you ever tried a Sassy Bloom box before? Or is it something you would purchase for a friend? I've heard mixed reviews on Sassy Bloom boxes, although the last few I've read seem to be more positive, which is a good thing as it shows they listen and react to feedback. This one looks lovely - and what a lovely touch to have a personalised product in there. I'd definitely be happy to receive this as a gift! 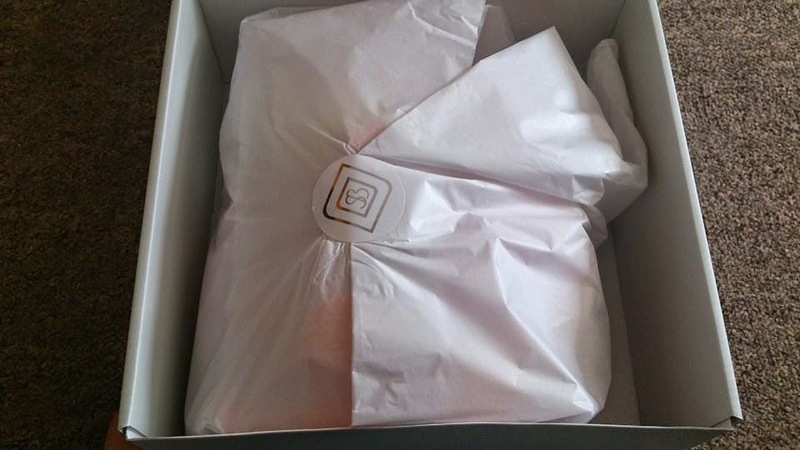 Looks like a lovely subscription box! I am always wary of subscriptions as knowing my luck I would end up with things I don't like! I like the idea of giving them as a gift but it's not the kind of thing I would want as I don't like surprises! I didn't know they do boxes for babies :) Such a cute idea for a new mums! What a beautiful box! And the products are excellent. And the personalized touch is so cute!